Samsung Galaxy S5 was first launched in 2014. The phone is powered with high processor and RAM. With a bunch of exciting features, Samsung Galaxy S5 has always been in high demand. But with time, the phone also develops errors that might hinder your experience. You might encounter problems such as battery issue, screen problems, driver issue, etc. Opt for our reliable Samsung Galaxy S5 repair services and get rid of your worries in no time. UAE Technician consists of a team of highly qualified experts who are always ready to help you with the necessary fixes. We not only provide solutions but also offer useful maintenance tips that will help to improve the performance of your phone. Apart from the problems mentioned above, you might also encounter other problems as well. We understand it is not always possible to resolve the issues on your own. In this case, take an experts help and perform the right troubleshooting steps. We at UAE Technician try to provide the most effective solution without damaging your pockets. Connect with us at the earliest for the best Samsung Galaxy S5 repair in Dubai. Your search for reliable service ends with us. When it comes to phone repair, our service team is the best to choose from. Our experts at UAE Technician are skilled and experienced in dealing with all kinds of issues that affect the performance of your phone. Our professionals can easily solve camera and sound problems. In case you encounter other tech-glitches with your phone, reach us for affordable Samsung Galaxy S5 repair services. We also guide our clients with easy troubleshooting steps. Our experts excel in offering awesome security hacks. Contact us at UAE Technician by dialling our helpline number 042053349 . Interact with our experts and get all kind of assistance required to make your device error-free. We provide quick response to save your valuable time. Our services are available throughout the day to deliver you with top-notch solutions. Once you reach us, your worries are our concern. Our teams of professionals work with extra effort to provide you with an adequate solution. 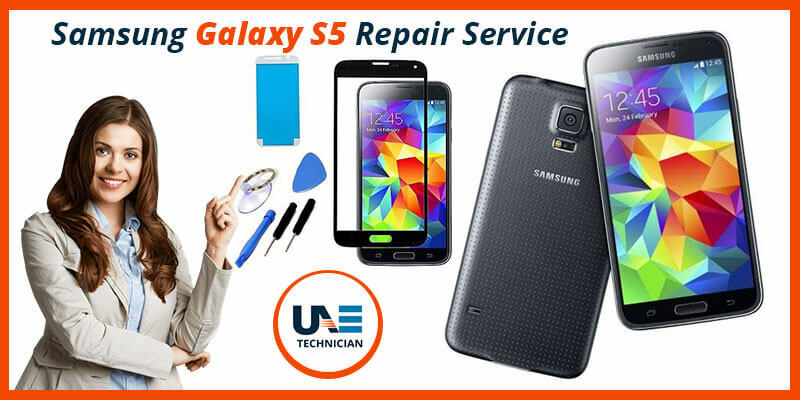 Choose our outstanding Samsung Galaxy S5 repair in Dubai and experience the difference.